Hi Folks-- I was wondering if someone could shed light for me on what the intended installation is for the cymbals on the DW 9502LB remote stand. When I put together on what I thought was logical, the round nut (SP920) on top of the lower hat assembly interfered with the clutch nut (SP393) on the bottom of the top hat assembly... e.g., these two components hit one another preventing the hat from closing. For scale/context, the hats are 10" Zildjian Special Recording Top hat on a ZHT bottom hat. lower cymbal as I assumed it was to be assembled. 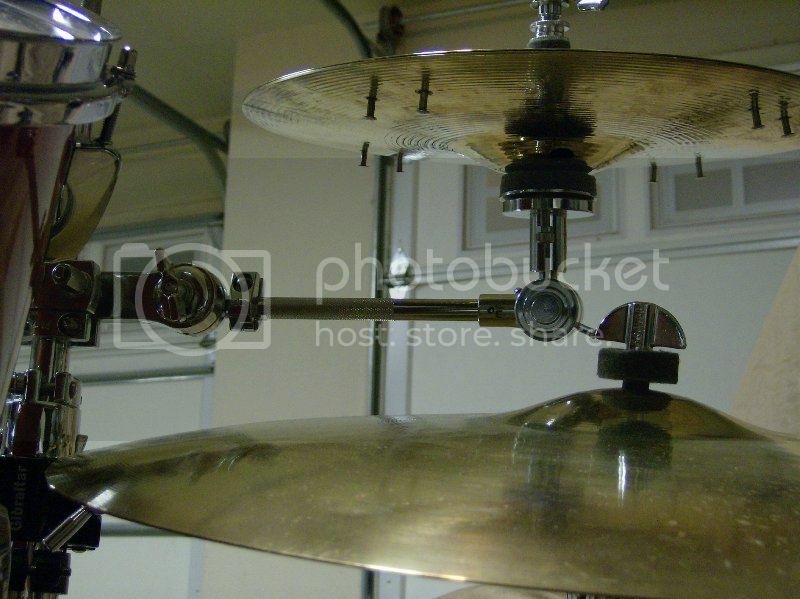 The lower hat cymbal just sits on the felt washer with nothing but gravity holding it from floating away. I'm not sure what nut you're talking about but it may be a lock nut for the clutch assembly holding the top cymbal. Thanks noreastbob--- I'm not sure why my images didn't post.. I'll need to look into that.. but if you look at the link to the PDF I provided, you can see that the nut I'm referring to (SP920) is not a lock nut for the clutch, but rather, part of the lower hat assembly. The SP920 holds the bottom hi hat cymbal; it's the bottom hihat cymbal's "clutch". I have the DW X-hat boom arm that uses the same part. 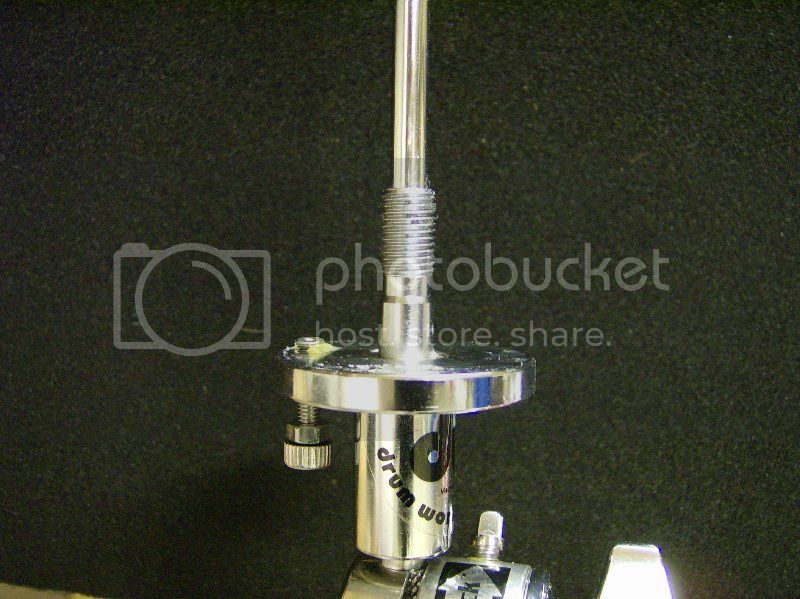 The more you tighten the SP920 nut down on the threads of the hihat shaft against the large felt washer, the tighter the hats. 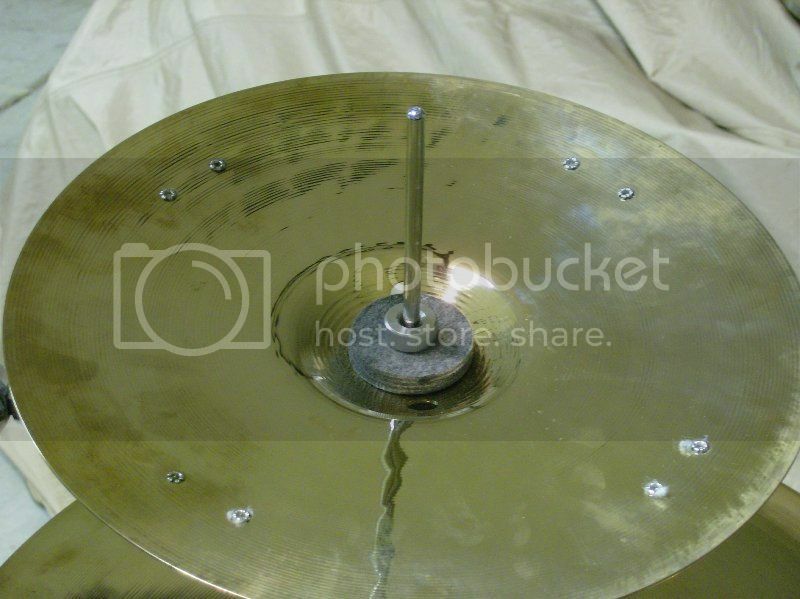 The bottom cymbal should be "sandwiched" between the two large felt washers. The SP920 is threaded down on the bottom cymbal from the top of the bottom cymbal. Last edited by late8; 04-22-2019 at 09:00 PM. Here's the hihat's bottom cup. 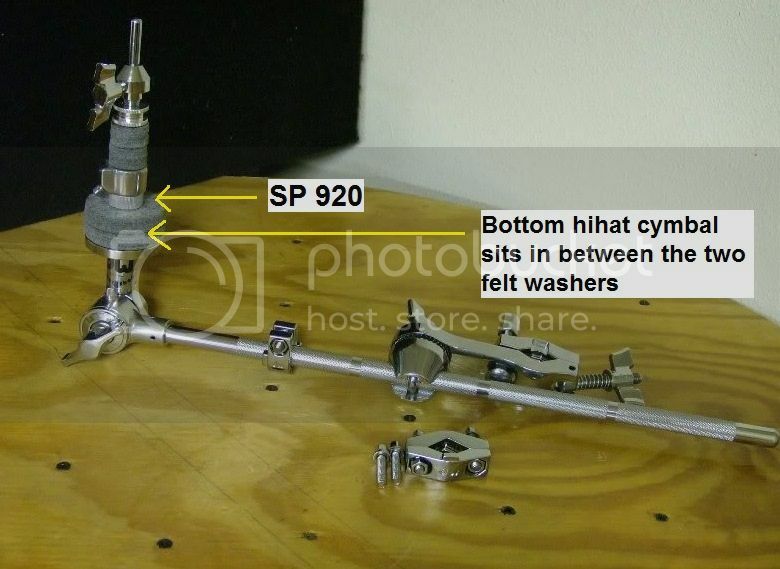 Tighten the SP920 on the hihat shaft threads. Last edited by late8; 04-22-2019 at 08:56 PM. I have a dummy remote hi-hat. It's funny because I'm buying a 9502LB soon. I had no idea the bottom cymbal was secured/retained. The Only reason I can imagine for that is so you can tip the unit and maintain the cymbal orientation or tilt. I want one because I have 3 up toms and I've offset them for ride placement and the 8" tom is forced up and away to allow room for the hats. If I get the cable hat I can nestle the 8" right down by my snare at 9:30/10;00 0'clock and it won't conflict with the hi-hat stand shaft. I can raise and maybe even angle the hats slightly.